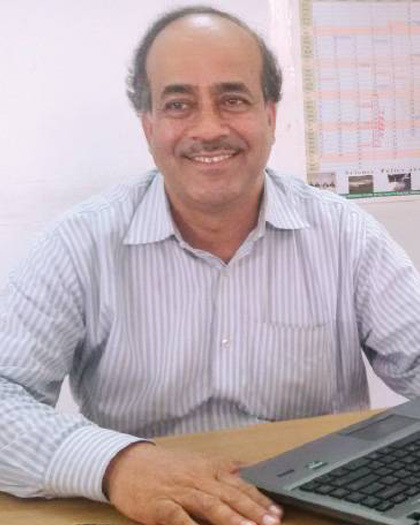 Sarder Shafiqul Alam is the ICCCAD climate change expert and senior researcher for the GIBIKA programme and previously worked as the ARCAB field research coordinator. He’s gathered wide ranging experiences of designing and implementation of research projects on NRM, climate change adaptation, review LDCs prepared NAPA documents, poverty alleviation and livelihood promotion, agricultural development, stakeholder analysis and consensus building of local capacity, partnership building, policy and institutional analysis. He has coordinated and supervised more than 25 field based research projects. He also monitored and implemented a number of projects in various fields including adaptation to climate change, water resources, fisheries, forestry, socio-economic, rural and urban environment in Bangladesh. Mr. Alam was involved in a number of multidisciplinary and multi-country projects of BCAS and international research organizations as well as development agencies. He participated a number of international and regional trainings, conferences, seminars and workshops on climate change, development, poverty, livelihoods and environment issues. He worked for the DFID, WB, UNDP, IIED, IFC, REB, DoF, SSN, NCA, Oxfam, CARE, Caritas, RDRS, etc. He has wide range of connection among Government departments, NGOs and LGIs k in all ecosystems in Bangladesh as well with academics in home and abroad. He has prepared Training Manuals and Handouts on “Climate Change Adaptation”, “Gender and Climate Change”, “Climate Change and Disaster Risks Reduction”, Research Methods, Planning and Project Management” etc. and facilitated over thirty training workshops for officials of Government departments, representatives of LGIs, INGOs, NGOs, media and local communities.